The Toshiba IK-WR01A has been discontinued. No direct replacement is available. 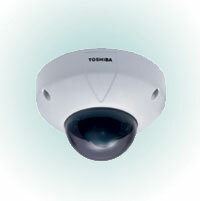 The Toshiba IK-WR01A combines a rugged vandal-resistant design with hybrid network/analog capabilities to meet the needs of schools, prisons, stadiums, outdoor public places and other areas subject to vandalism.